Sorry I didn’t post the Samsung Gear 360 review yet. Part of the reason is that I’m having a hard time analyzing the Samsung Gear 360’s sharpness, which is important given that one of the key features of the Gear 360 is its higher resolution. 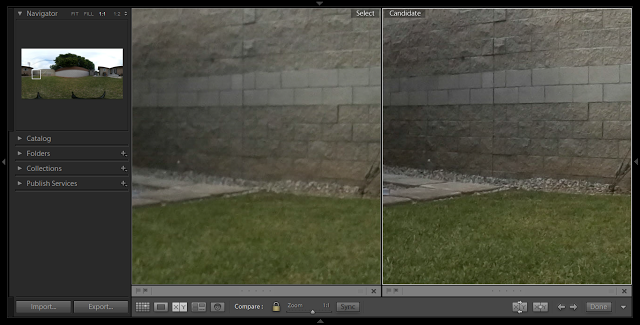 Similarly large difference in sharpness. 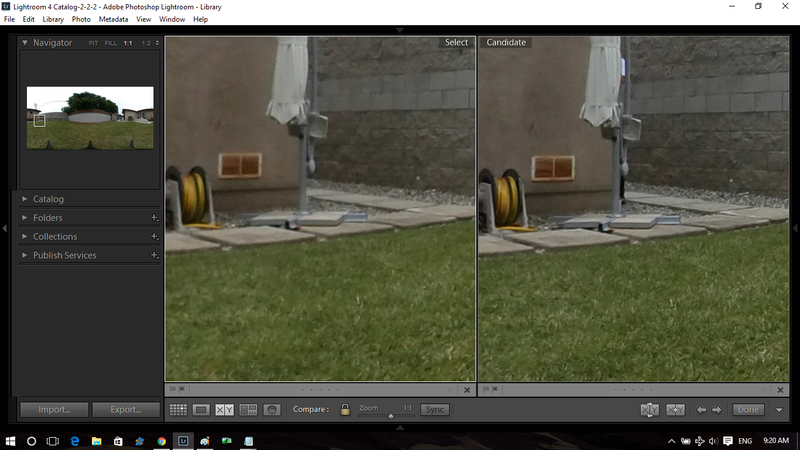 The only thing that seems to be in common with both sets is that the sharper ones were taken before the blurred ones. IOW, the images were sharp, then I took some more shots, and they became blurred. Given that the Gear 360 sometimes becomes sharper again, it’s unlikely to be a physical defect. It seems to have something to do with software, possibly a setting that I missed or maybe an issue with stitching. 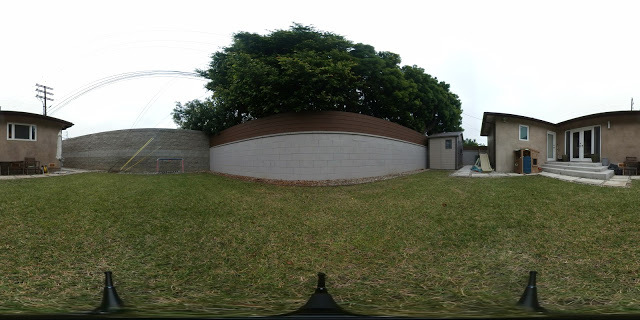 FWIW, the photos here were all stitched by the Samsung Gear 360 Manager software (yes I installed the update as well, and the first two sets above were before the update, and the last set was after the update). I haven’t tried stitching the photos using ActionDirector because thus far I’ve been unable to, on my 4-yr old laptop. I’m going to try to figure this out… If you have any theories, I’m open to suggestions! UPDATE: Follow up testing results HERE. I would love to know if you have figured this out as I'm having the same issue and can't find any credible information regarding why/what. I was getting blurry images in hot climates and I found out the reason for that one (apparently the sensor expands and it gets a bit closer to the lens causing the issue), but this one is boggling my mind. 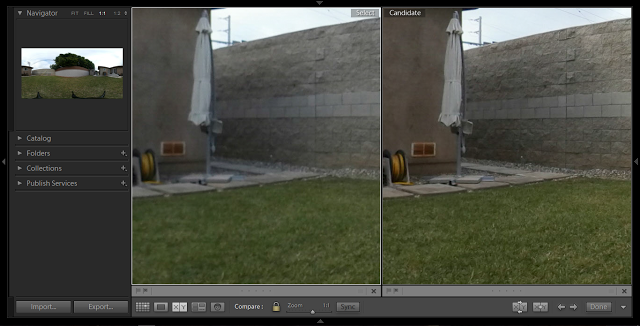 The front lens is consistently sharper. Hi everybody…. I had the same problem with my gear 360. (one lens is sharper than other ) ..
my solution: I took a pic using front side, then rear side… this is important because both sides are sharpness then i tested with dual sides… it worked, now i can take sharpness photos. I found on my 360 2016 that one lens is sharp and second one is blurry. Even if the camera is cold. Hi Dmitry. If it’s always blurry then it could be a decentered or otherwise defective lens.